In collaboration with the Artistic Director and Board, the CEO drives the exploration of new ideas, opportunities and innovative strategies to continuously enhance MIJF’s long-term impact, reputation and sustainability. The CEO is also responsible for the day-to-day leadership and organisational performance of MIJF. This includes overall accountability for financial, business & risk management, operations, government and stakeholder relations, compliance & reporting requirements and policy & program development. Success in the role will be characterised by a culture of innovation, excellence and engagement, diversification of income streams, engagement of new audiences and continuing to foster the presence and impact of the festival nationally and internationally. This will come from excellent leadership, judgement and negotiation skills, a strategic focus, strong business and financial management skills, an ability to develop and nurture stakeholder relationships, and a proactive approach to seeking opportunities, continuous improvement and collaboration. With programming and delivery plans already well underway for the 2019 MIJF, and interim CEO arrangements in place, the successful candidate will ideally be able commence in late April/early May ahead of the festival in early June. Applications are welcomed from candidates from a range of backgrounds, with an established professional profile or the potential to develop as a leader in Australia’s jazz, live performance and broader cultural sector. 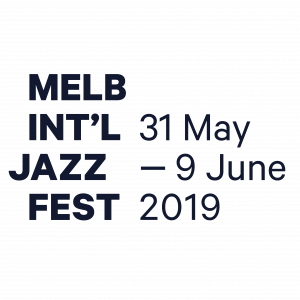 The Melbourne International Jazz Festival (MIJF) is Australia’s pre-eminent jazz festival, internationally renowned as a programmer of creativity and innovation. It successfully showcases Melbourne’s thriving jazz sector nationally and internationally, and makes a unique contribution to Melbourne’s artistic reputation. A long-standing commitment to access, participation and diversity is embedded into every program, as are pathways for emerging artists, ensuring that jazz remains as accessible and relevant today as it was at its birth in the early 20th century.